Stainless steel drinks hip flask which is polished to a high finish and shaped like a car Jerry Can (Jerrican) or Petrol Can. 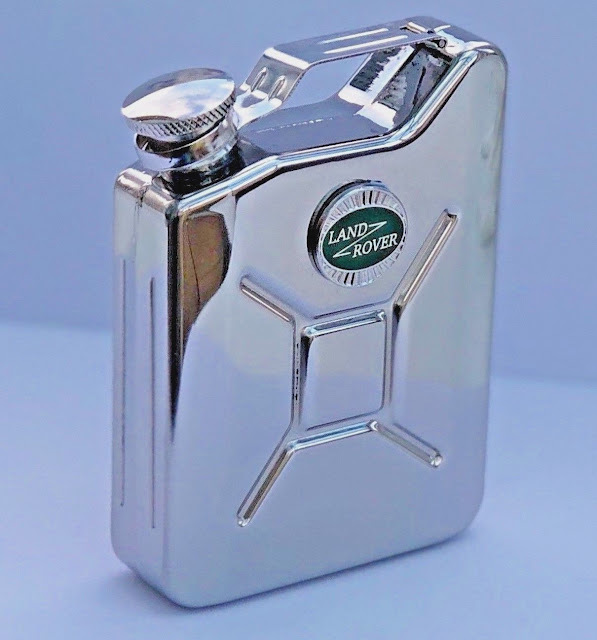 On one side of the flask is a metal and enamel classic LAND ROVER badge. The flask holds 5oz (145 ml) of any liquid. The lid is attached to the body of the flask via a hinge which means that it cannot be lost or removed from the flask - this is a unique design feature which other similar flasks do not feature. It comes boxed, complete with instructions on caring for the flask.